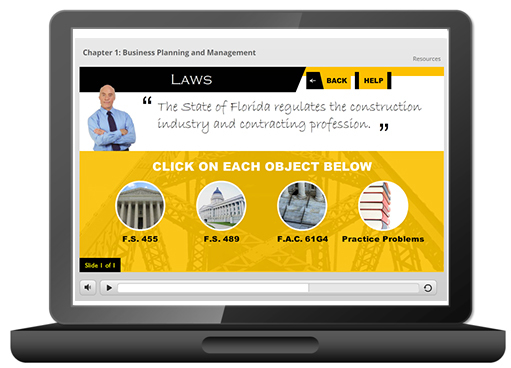 This 1-hour online course satisfies the CILB and ECLB (contractors’) requirement for continuing education training in Workers’ Compensation. It contains a brief look at Workers’ Comp, its origins, history, statutory structure, and legal requirements for both employers and employees. The sweeping 2012 legislative changes to the Workers’ Compensation law are also reviewed. You will leave with a better understanding of why Workers’ Compensation training is mandated in the construction industry and how it impacts you and your business.